1. A two-toned knit beanie to wear when you can't decide if your favorite color is pink or purple. Get it from Anthropologie for $38 (available in two colors). 2. A faux-fur tote bag that'll keep all your belongings warm too. Get them from Urban Outfitters for $29 (available in three colors). 3. A classic Pendleton national park stripe scarf perfect for keeping you warm and stylish during brisk strolls in the park. 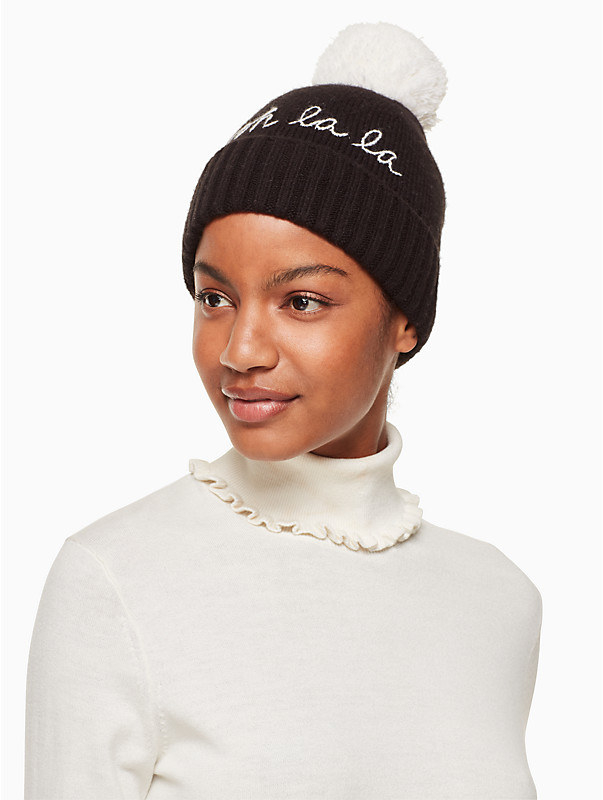 Get it from Nordstrom for $29.50 (available in two colors). 4. An emoji beanie that'll be a great way to display your favorite emoji loud and proud. Get it from Boohoo for $7. 5. A fuzzy rainbow scarf guaranteed to brighten up your day just like seeing an actual rainbow. 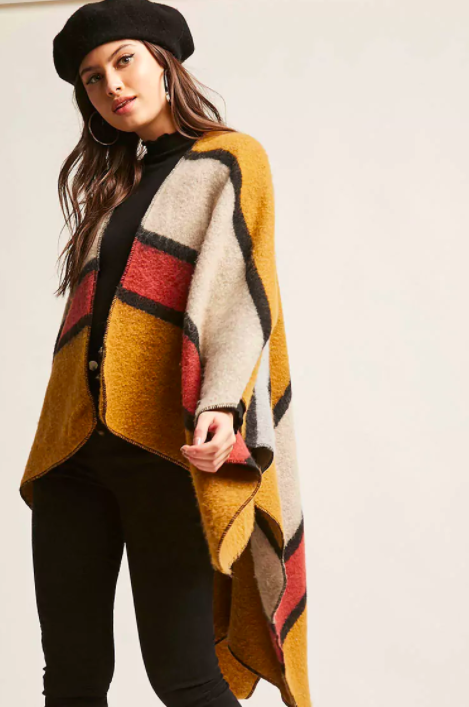 Get it from Anthropologie for $78. 6. A ponytail beanie because it's usually impossible to wear a beanie with your hair up but it won't be anymore! Get it from Amazon for $5.99+ (available in eight colors). 7. A pair of knee-high fox socks you'll totally rock once you take them out of the box and wear them with a frock. Get them from ModCloth for $19. 8. A pair of striped puffer mittens! Why should jackets get all the puffer warmness? Get them from Free People for $48 (available in two colors). 9. 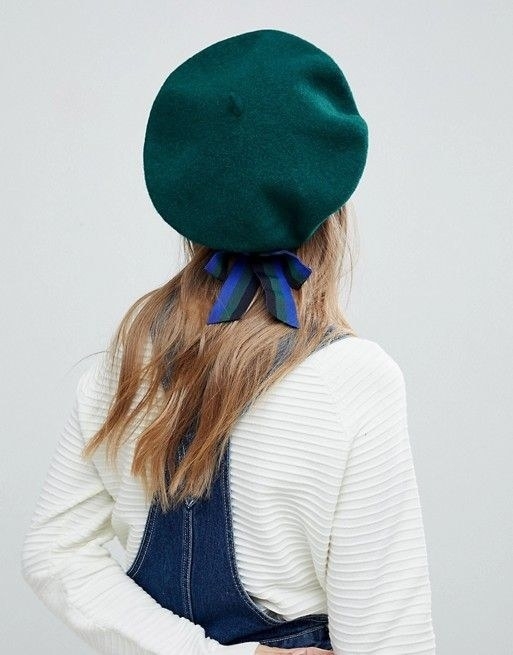 A beret with a bow for anyone who wants a pretty Parisian look! Get it from Asos for $19. 10. A faux-fur statement scarf to take a basic black jacket from boring to bam! Get it from Forever21 for $21.90. 11. A "bad hair day" beanie you can wear when your hair just doesn't want to cooperate. Get it from Nordstrom for $15. 12. 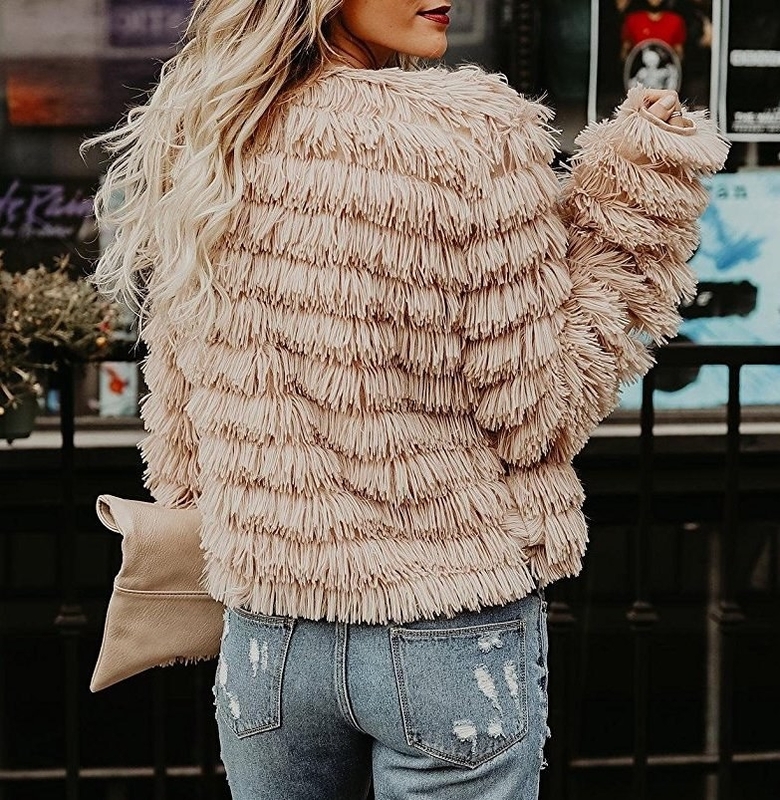 A shaggy coat so stylish and cozy it'll be great for layering under a bigger jacket, giving you double protection from the cold! Get it from Amazon for $22.99+ (available in two colors sizes S-XL). 13. A 3-pair set of knee-high socks for keeping your legs nice and toasty, well, at least up to your knees. Get them from Walmart for $15.99 (available in three color combos). 14. A lightweight down vest as the ultimate layering piece for extra insulation against the cold. Get it from Uniqlo for $39.90 (available in 11 colors sizes XXS-XXL). 15. 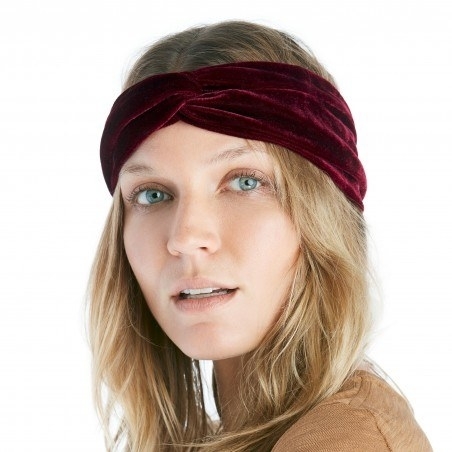 A faux-fur headband sure to make the perfect cozy halo while you're creating snow angels in a fresh blanket of snow. Get it from Asos for $16. 16. A pair of touch screen gloves so you can use all your devices and still keep your fingers toasty. Get them from Amazon for $9.99 (available in eight colors). 17. A cape scarf that'll keep the winter cold in check. Get it from J. Crew for $75. 18. A cat ear beanie purrrfect for keeping your ears warm and looking totally cute. Get it from Amazon for $10.99 (available in nine colors and kid's sizes). 19. A striped faux-fur jacket to channel your inner zebra... whatever that means. Get it from Gap for $168 (sizes XS-XXL). 20. A velvet puffer jacket because you shouldn't sacrifice style for warmth. Get it from Urban Outfitters for $129 (available in two colors sizes XS-L). 21. 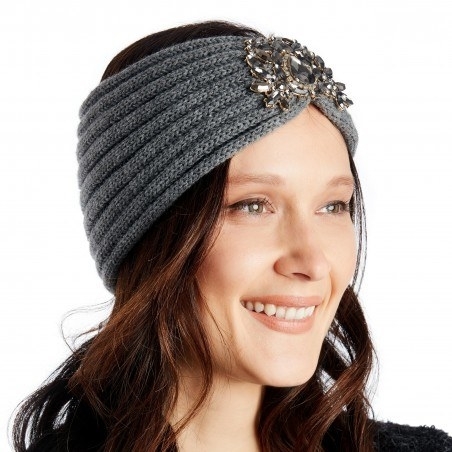 A jeweled or velvet headband to stylishly complement any cold weather outfit, making you look like a modern day flapper. 22. A literary scarf so you can be draped in your favorite book that gives you the warm and fuzzies. Get it from UncommonGoods for $48 (Pride and Prejudice, Alice in Wonderland, Jane Eyre, and Sense and Sensibility). 23. A teddy bear coat that's going to feel like a warm hug from your favorite childhood teddy. 24. A faux-fur lined metallic jacket to maintain your rocker chic look throughout the the winter. Get it from HM for $79.99 (sizes 2-16). 25. 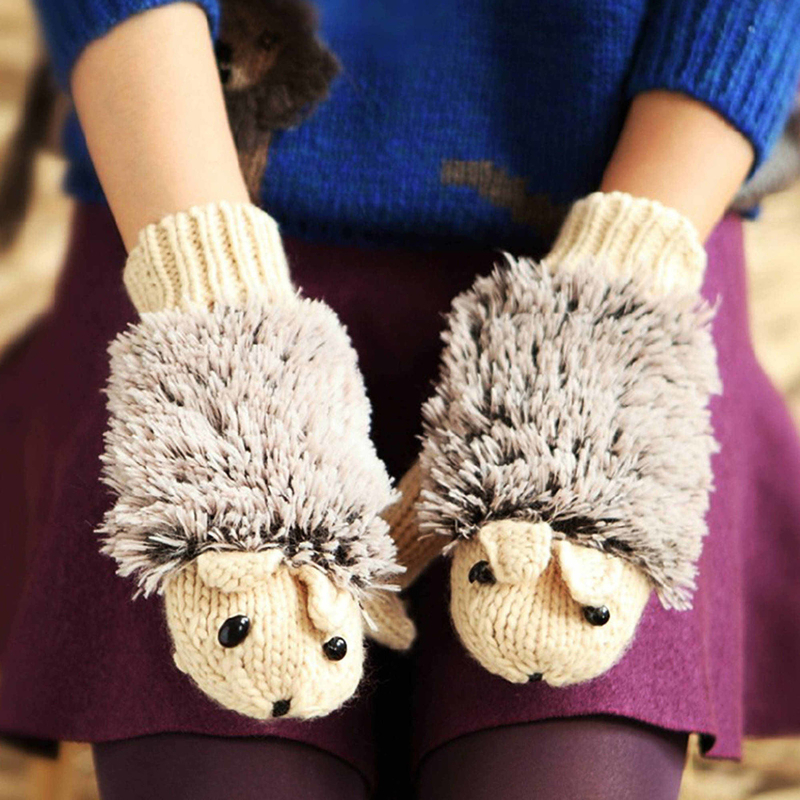 A pair of hedgehog mittens ideal for staying warm (as well as impromptu puppet shows). Get them from Walmart for $7.39 (available in eight colors). 26. A puffer jacket to (color) block out all the coldness. Get it from Missguided for $56 (sizes 0-12). 27. An embellished bee-nie! These should help you battle the sting of the cold weather. Get it from Express for $14.95 (available in two colors). 28. A Steve Madden knit star scarf that'll be the star of your winter wardrobe. Get it from Macy's for $26.40 (available in two colors). 29. 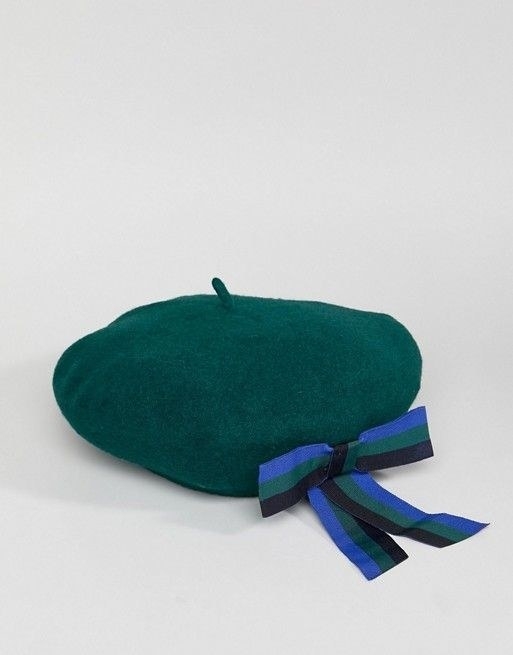 A faux-fur cap to put a normal baseball cap to shame. Get it from TopShop for $15 (available in three colors). 30. 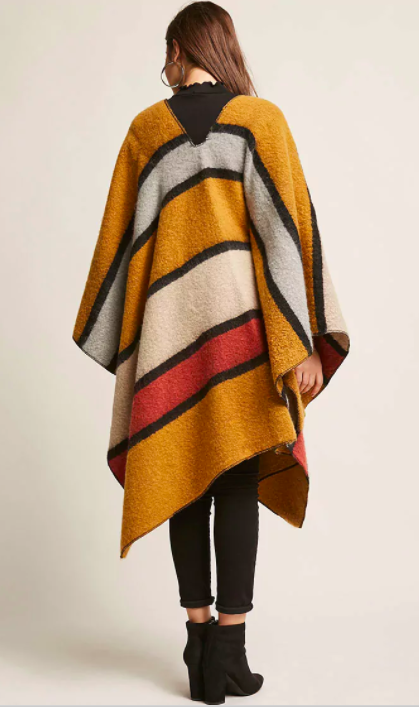 A poncho bound to keep you bundled up through even the most frigid winter storms. Get it from Forever21 for $48 (available in two colors). 31. 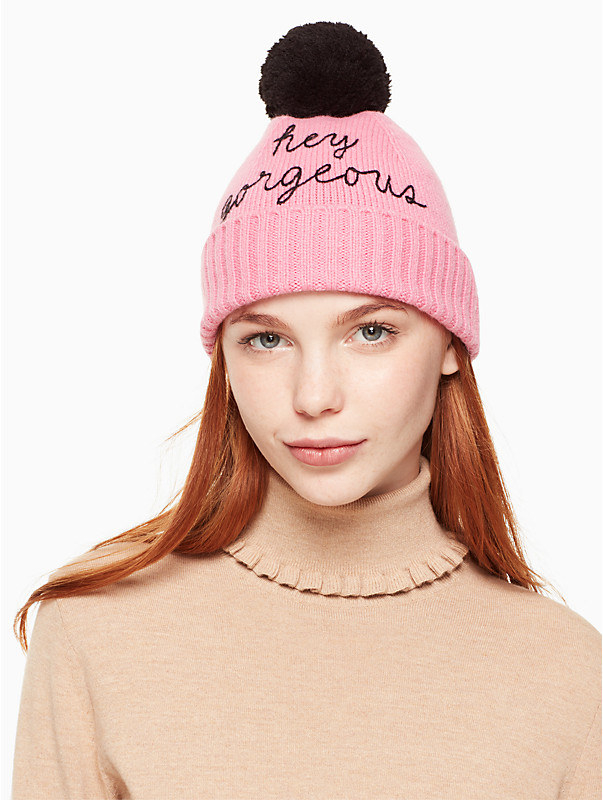 A "hey gorgeous" or "ooh la la" beanie because you may be thinking it, but they'll say it! 32. A "scarf" scarf so there won't be a chance of you mistaking this for literally anything else you own. Get it from Uncommon Goods for $58.99. She clearly didn't read this list.